Mas­ter crafts­man and car­pen­ter. His work ranges from solo com­mis­sions to work­ing with larg­er teams that require a high lev­el of craft­man­ship. 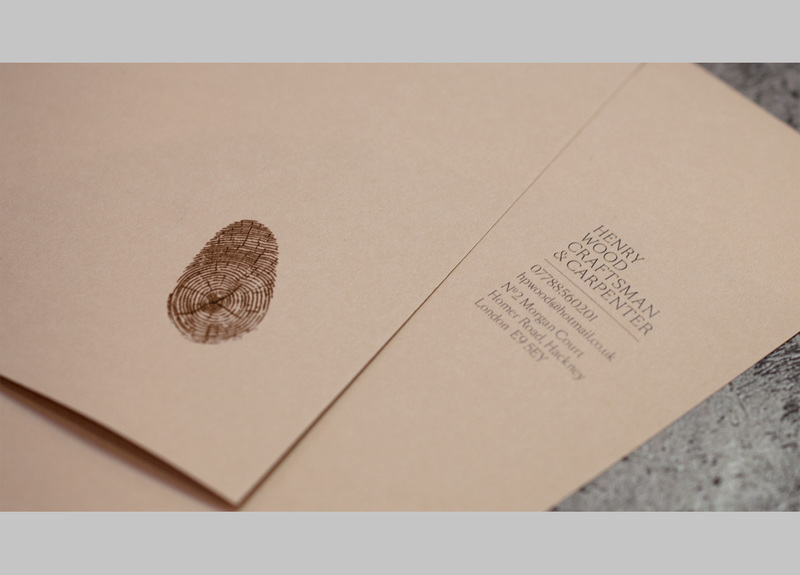 100% of Hen­ry Wood’s work comes through either word of mouth or exist­ing con­tacts. Devel­op an iden­ti­ty to reflect Hen­ry Wood’s tal­ent, craft, and pas­sion for all things wood, with a spe­cial empha­sis on his busi­ness card, his most com­mon­ly used point of con­tact. 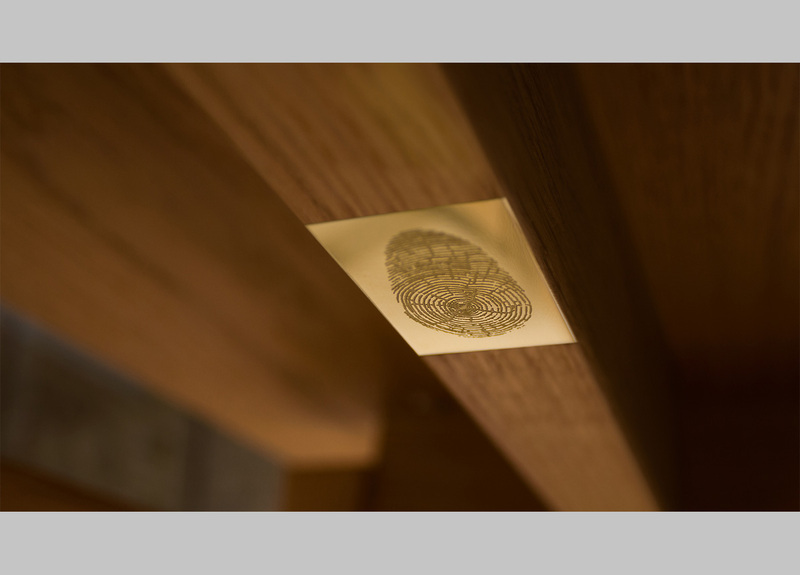 A thumb print/wood grain logo cre­ates his unique maker’s mark—even his age is in the mark, count the rings. For those spe­cial com­mis­sions Henry’s mark is laser etched on to a brass plaque and dis­creet­ly placed under­neath his fur­ni­ture items. 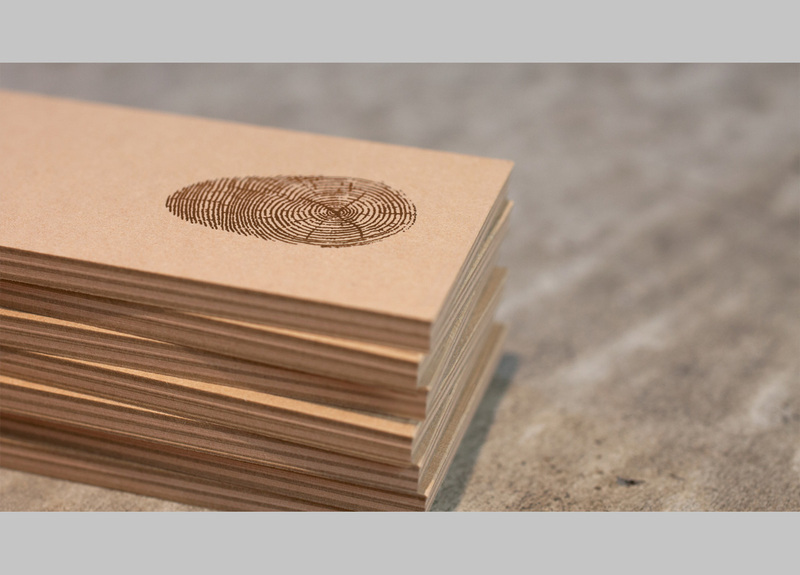 The busi­ness card takes on the appear­ance of wood, achieved by duplex­ing five 540gsm alter­nat­ing col­ors of GF Smith Col­or­plan mak­ing it a mighty 2,700gsm busi­ness card.